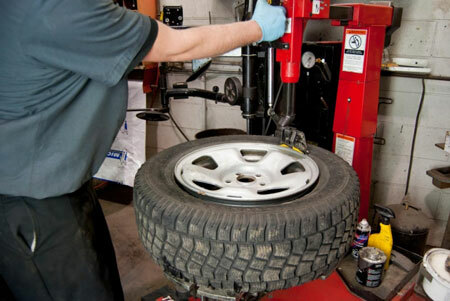 Like our tires, rims and other services? Please feel free to leave a few kind words by clicking on the “Create your own review” button below. Recommended by our son, discovered a screw/nail in my tire & gave The Tire Store a call & they took me in right away & tire was fixed & I was on my way in about 20 min....Paul was very nice. Will recommend The Tire Store for sure. My husband and I have been coming to the Tire Store for the past few years and have found that the service there is unbeatable!! Paul the owner is always very pleasant, patient, gives helpful/ truthful advice and is extremely hardworking. Wouldn't take our business anywhere else! A++, outstanding!!! Just serviced my car at The Tirestore. I have been coming here for years. I am always impressed with the quality of work and competitive prices. Paul has always been very helpful, polite and courteous. I have been to The Tire Store several times over the past couple of years and always had a pleasant experience. Fast reliable service, great prices. over the past year I have purchased 3 sets of tires and a nice set of Fast brand wheels. fair pricing, appointments on time, even solved a problem with my TPMS system. highly recomend! Best source for rims and tires in the area! I have been there numerous times and service has always been great! Paul has great prices and a good turn around time. After moving to Stouffville I have not gone to any other locations since. His reviews of the products that he supplies are truth full and I trust his recommendations depending on the car you own and your driving patterns. A+ in my books! Paul (the owner) is an honest, hardworking guy. He is very respectful of his customers and provides great service and good value. Stouffville is lucky to have a spot like this! My husband and I had a great experience at this store. The guy who helped us was really polite and took time to help us (unlike a lot of other places we called). Definitely recommend! Best price on all tires.